In a series of revelations made in a new research by the University of London, scientists say that parents should give their children iPads almost as soon as they are born. They claim that iPads provide more sensory stimulation for babies than books do. 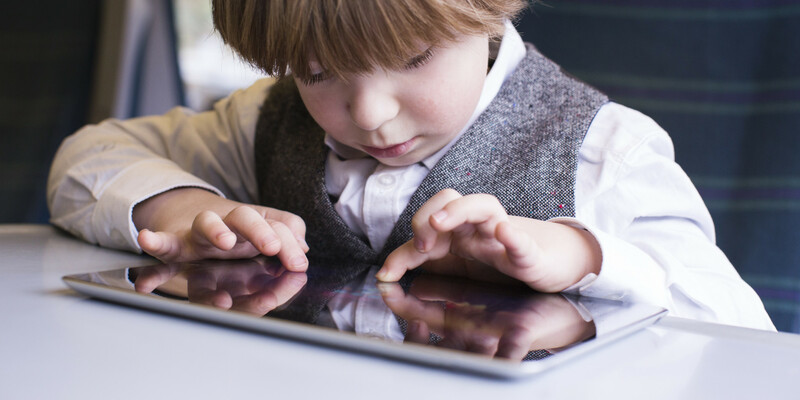 The leader of the research, Annette Karmiloff-Smith, says tablets should be part of a baby’s world from birth, adding: “They learn so fast on tablets. It is shocking how fast they learn – even faster than adults – to do things like scroll up and down text. “Books are static. When you observe babies with books, all they are interested in is the sound of the pages turning. Their visual system at that age is attracted by movement. In a statement given to a UK based website, KarmilOff-Smith said: “They might put a corner in their mouth. They will then explore it physically, but then they will use it to do things. “Everything we know about child development tells us that tablet computers should not be banned for babies and toddlers.”, she added. Other scientists, however, have a different tale to tell. Earlier claims made by scientists hinted towards the fact that computers could ‘damage the brain’, and can even result in a form of ‘temporary dementia’.